Hi friend! I hope you’ve been enjoying the last few weeks of summer. I’ve been getting ready for my big move to Kelowna in a few days, so things have been super hectic. However, there’s always time for a smoothie date with friends. The other day I had a friend over for lunch and we whipped up 3 types of smoothies to share and this one was by far our favourite! It takes advantage of the sweet peaches that are in season and makes a delicious sweet treat. I don’t normally make sweet smoothies as I like to keep my sugar intake to a minimum, but this bad boy was so delicious I just had to share. And at least the sugars come from whole foods chock full of antioxidants, fibre, vitamins and minerals. Plus its orange colour is testament to the fabulous beta-carotene content. Orange fruits and veggies (and often dark green ones as well; their orange hue is just overshadowed by the chlorophyll content) are a clear indication of a high presence of beta-carotene, a nutrient that gets converted to vitamin A in the body. Peaches are chock full of vitamin C and beta-carotene, two nutrients necessary for building healthy skin cells and ensuring a vibrant complexion all summer long. Vitamin C is also a powerful antioxidant in its own right, which can help protect your gorgeous glow from the last rays of summer. Cantaloupe, in addition to being a great source of vitamins A and C, contains a good amount of potassium and vitamin B6, both of which help with fluid balance in the body. Having proper fluid balance and hydration keeps you from looking puffy and bloated and ensures that your cells are working properly. Cantaloupe is also a great food source of an enzyme called superoxide dismutase, which functions as an antioxidant powerhouse in our bodies and keeps our mitochondria (essentially the “engines” of our cells) healthy and happy. Hemp hearts are a great source of plant based protein if, like me, whey and dairy proteins leave you fat and gassy. They contain the essential fatty acids omega-3 and -6 in a fairly good ratio for the human body. So long as we’re watching our omega-6 intake from vegetable oils (boo hiss! Read more here), then seeds such as hemp can be a welcome addition to our diets thanks to their potential anti-inflammatory benefits. Combine all ingredients in a blender, mixing until smooth. Makes ~ two 500ml servings. Well that’s all for today friend! I hope you have a splendid final week of August. 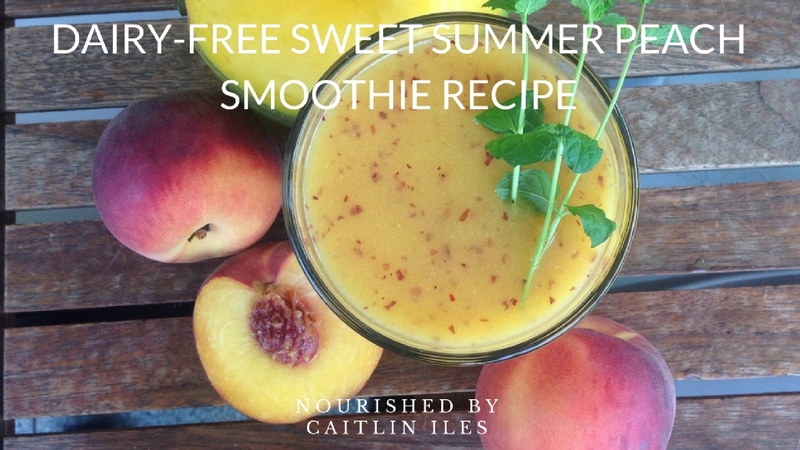 And if you’re looking for more awesome smoothie inspiration then make sure you download my FREE Sensational Smoothies E-book by clicking here. Have a wonderfully whimsical week!